Originally from Athens Ohio, Angela Buckalew made the journey to Cincinnati, Ohio in 2010. Known for a tireless work ethic, energetic presentation, and a hands-on approach to training,Buckalew has blazed a trail of achievements across industries and channels including, health care, construction, foster care and real-estate. She began her safety career in 2013 by partnering with a struggling start-up company HTH Safety & Construction Solutions. In less than a year, she was able to turn the company it into a profitable, reputable, thriving enterprise. Now, as CEO and Founder of HTH Safety Solutions, LLC, Buckalew has proven her abilities in successful managing, marketing, budgeting, training and operations. 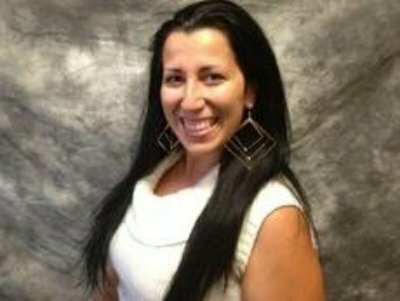 With 15+ years in the healthcare industry providing hands on client care, Angela offers a unique training style that ensures students walk away with the knowledge and skills required to remain safe on the job, and possibly save a life. As I grew up and entered high school/college I realized being a teacher wasn’t for me. I entered into the healthcare field when I was 17 years old. After spending over a decade in healthcare, I found myself wanting more. After seeing the importance of safety on the job and how CPR literally saves lives, I discovered I had a new passion. Increasing public awareness of the importance of early intervention and providing guidance and support to employers/employees is what drove me to open up HTH Safety Solutions. Having a presence in the community is crucial in being effective in my role. I do a lot of networking and I’m very active on social media. There is no better feeling than walking into an event/training/restaurant or wherever and people knowing you/your company. Originally, I had a business partner. Unfortunately, due to irreconcilable differences, we split ways at year one. I had to make a choice, start over or give up on my dream. Giving up was not an option, especially when I had employees who believed me. So without missing a beat, I began my new journey. As confusing and devastating as it was a the time going through it, I now can look back and see that it was truly THE BEST thing that could have happened for the company. It was a true life lesson and I’m so blessed with the outcome! Safety training can be fun, convenient and affordable. I work a lot with small/mid-sized employers who are in the beginning stages of creating a safety culture in their organization. We are able to walk them through the process to help ensure compliance with OSHA and the BWC. We Provide safety training, staffing and consulting in Ohio, Kentucky and Indiana. My Superpower…I know this is going to sound impossible, but I am able to make safety training fun! I do a lot of training in construction. [These workers] are used to being in the field, so sitting through a training is almost torture to them. I have a unique training style that is not typical in this industry: My hands on training approach forces participation from the students. Mixing a little humor and customizing every training to make it specific to their industry keeps them engaged. Popping in a video or reading off a PowerPoint is just not effective. When teaching lifesaving techniques, it’s imperative that you get through to your students. After I finish a training, [the workers] stand up and clap and say that was the best training they have ever had. And that’s why I became an instructor! There are very real heroes walking among us – often going unrecognized…and these people are our Safety Heroes! It’s these heroes that fervently establish safe and healthy work environments – and these environments make sure the companies we work for remain viable! Know someone who should be nominated as a Safety Hero? Click here to celebrate a hero that’s walking among us. Angie is a very conscientious professional that genuinely cares about the needs of her clients. She provides exceptional service in a timely fashion. I would recommend her and this organization to any company that is in need of certification in the areas that HTH Safety Solutions provides.